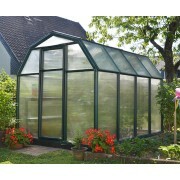 ECO GROW GREENHOUSE is a premium hobby greenhouse can be perfect solution to extend your garden and will serves perfectly your gardening needs. 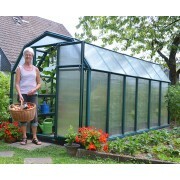 Grow fresh organic vegetables in a premium hobby greenhouse ECO GROW 6′x8′ is a premium hobby greenhouse can be perfect solution to extend your garden and will serves perfectly your gardening needs. 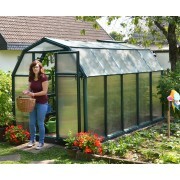 Dimensions 197 W x 259 L x 193 H cm / 6.5 W x 8.5 L x 6.4 H ft Growing Area 5.11 m² / 0.55 f..
Grow fresh organic vegetables in a premium hobby Twin-Wall Greenhouse 6′ x 10′ ECO GROW 6′x10′ is a premium hobby greenhouse can be a perfect solution to extend your garden and will serve perfectly your gardening needs. Dimensions 197 W x 321 L x 193 H cm / 6.5 W x 10.6 L x 6.4 H ft Growing ..
Grow fresh organic vegetables in a premium hobby greenhouse ECO GROW 6′x12′ is a premium hobby greenhouse can be perfect solution to extend your garden and will serves perfectly your gardening needs. 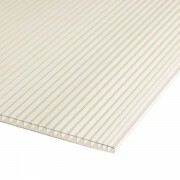 Dimensions 197 W x 381 L x 193 H cm / 6.5 W x 12.6 L x 6.4 H ft Growing Area 7.51 m² / 0.81..